Do you want to know how I got these scars? Well, it's a simple story really. One day I walked down to my local scaring shop, and paid the man behind the counter a pre-determined sum of money so he could scar me thusly. What? You don't believe me? If not, then why don't you ask Heath Ledger if I'm fibbing or not. And if not him, try Josh, who made a film about Heath Ledger trying to become the Joker. Josh, it's now over to you. 1) What are your own origins, Josh? I'm from Fort Lauderdale, Florida, and I went to college at the University of Florida where I just graduated with a Bachelor's degree in Telecommunications Production. I'm also friend's with the actor, co-director, and composer, associated with the Florida Children's Theatre, and that's how we all started working together. 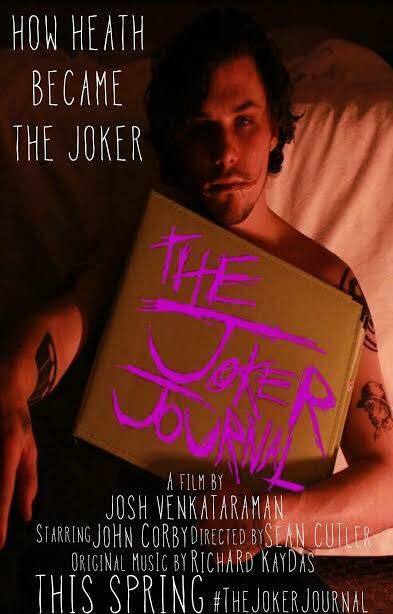 2) What inspired you to create, ‘The Joker Journal’, and how are you involved with it? 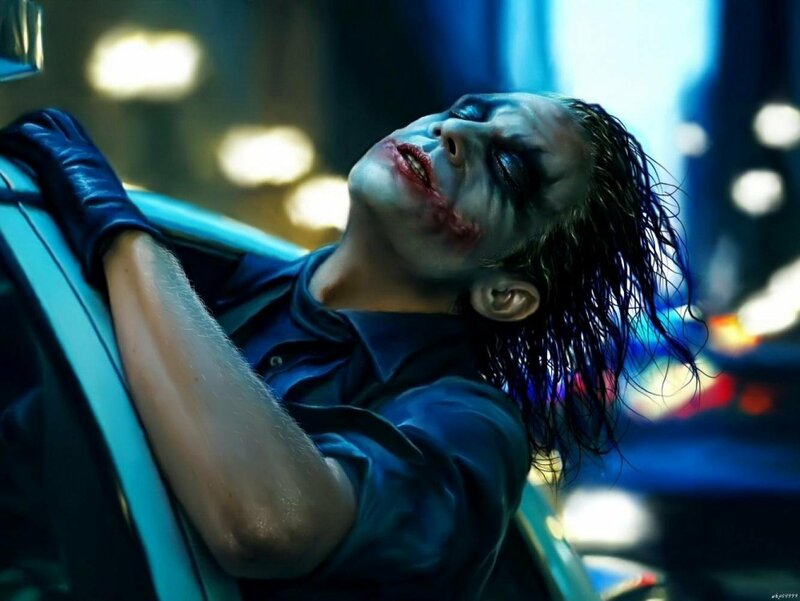 A few years back, roughly around the same time 'The Dark Knight' was coming out, I heard that Heath Ledger had spent a month in a hotel room to help him get into character for his Oscar-winning performance as the Joker. At the time I was acting for theatre so I was very interested in how actors prepared for roles. But a few months ago, I was watching a film in school where one of the scenes took place in a hotel room and it got me thinking. I contacted my friend, John Corby, the actor that played Heath, and asked if he would be interested. He's a big fan of Batman and the Joker plus he's a phenomenal actor, so I couldn't have been more lucky. My role began as the executive producer, and came up with the concept as well as raised about $600 on Kickstarter. But throughout the production I also acted as the cinematographer and the editor, along side the rest of our team, for which there would be no film at all. 3) In your own words how would you describe this short film? For every role, every actor has a specific process they go through so they can get into character, and The Joker Journal is a representation of the process Heath Ledger went through to become the iconic Joker. Our representation shows Heath going down a sort of dark road and become extremely overwhelmed and overstimulated by the material. We wanted the Joker to become a part of him and maybe even take over in a way. 4) What song would you say best represents this project and why? Well, there's so many songs that felt right in trailers and kind of encompassed the whole process. We loved to use "Smile" by Nat King Cole since the Joker always wanted to put a smile on everyone's face. The song is sweet but can be a little ominous when paired with the film. I know John had a lot of inspiration from artists like Tom Waits, Queen, and others like that. 5) Apart from the great man himself, if you could get a celebrity – either living or dead – to promote your wares, who would you choose, and why would you want to choose this particular person? Ha! Yeah. It would have been great to have Heath promote the film himself. Plus I think people who had worked with him would be really great too. 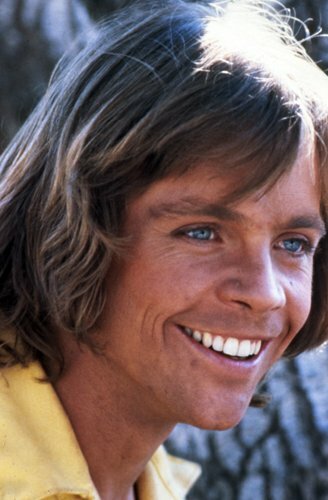 But, someone like Mark Hamill would be amazing as he knows the process of becoming the Joker and he's incredibly relevant and active on social media. It would be so cool to have him involved with the film. 6) What have you learnt about yourself through this endeavour? I've learned how awesome it was to work with a great crew of really creative people. All my life I've always tried to do everything on my own, but this process has shown me that everyone brings something amazing to the table. Since I'm a recent graduate I learned a lot of really great technical skills as well, so I can admit that I don't know everything, Ha! 7) During your time in this field, what is the one thing that has kept you in good stead? Something I love about this field is how people are effected by content. Movies and television shows can change people's lives, inspire and educate. I love how you can provide entertaining content as well as create something that means something. With this film, I think being able to tell this story and potentially create something amazing is what pushed me. 8) If ‘The Joker Journal’ had a motto, what would it be? Great question. If the Joker Journal had a motto, I think it would be something like "Descent into Darkness" or "An Actor's Process". I don't know if those are any good but I think Heath became this character, if even only for a few months. And so say all of us, Josh, and so say all of us. 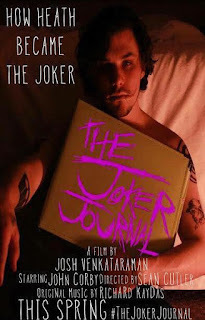 So on that note, all I have left to do is to thank Josh for telling us about his short film, The Joker Journal, before directing you towards his youtube, facebook, and twitter pages.